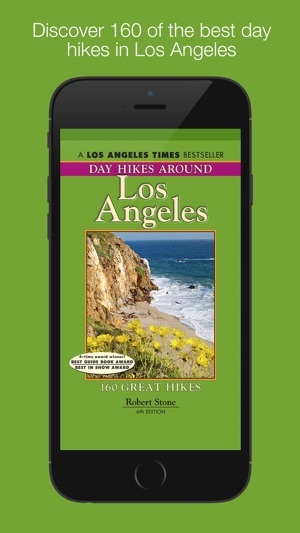 The Los Angeles Day Hikes App brings to your iPhone the 6th Edition of Robert Stone's classic "Day Hikes Around Los Angeles" field-guide. Despite the widespread presence of the Los Angeles metropolis, there exist thousands of acres of natural, undeveloped land and countless out-of-the-way hiking trails. Now in its 6th edition, Day Hikes Around Los Angeles includes 160 day hikes within a 50-mile radius of the city, providing access to the area’s cherished green space and disclosing many entry points to the coast. 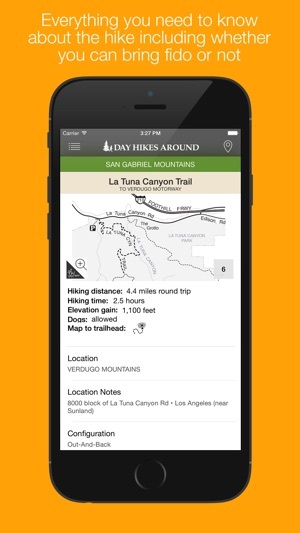 Most hikes are located in public open space (local, state, and national), wilderness areas, in the expansive Santa Monica Mountains National Recreation Area, and within the San Gabriel Mountain Range. A few metropolitan strolls are included as well. 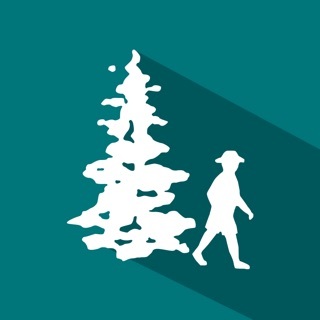 These hikes provide an excellent cross-section of scenery and difficulty levels, ranging from coastal beach walks to steep canyon climbs with far- reaching views. Hiking times range from 30 minutes to seven hours, although the majority of hikes are 2–6 miles in length. Relevant maps are listed under the statistics to lengthen the hike. 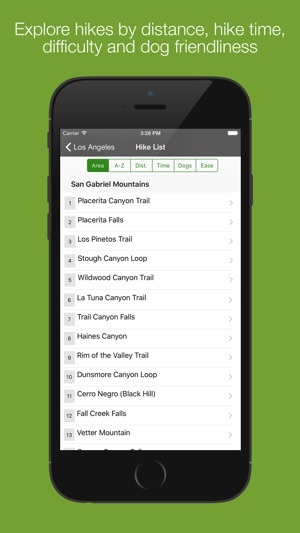 A quick glance at the hikes’ statistics and summaries will allow you to choose a hike that is appropriate to your ability and intentions. The first overall map identifies the general locations of the hikes and major access roads. Several other regional maps (underlined in the table of contents), as well as maps for each hike, provide the essential details. The Thomas Guide, or other comparable street guide, is useful for navigating through the metropolitan areas. 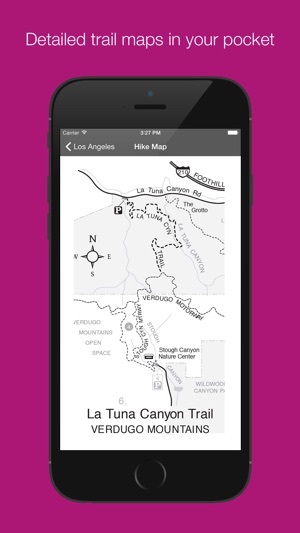 Hike detail maps are back! 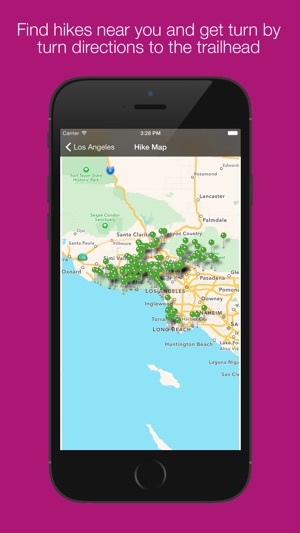 This minor update addresses an issue we were having with downloading the detailed hike maps. 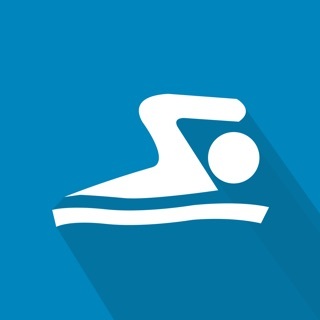 Get it and get outside. The book finally fits in my pocket! Now I can leave the paper version at home. Love this for finding somewhere to wander around when I'm out and about. Thanks! !